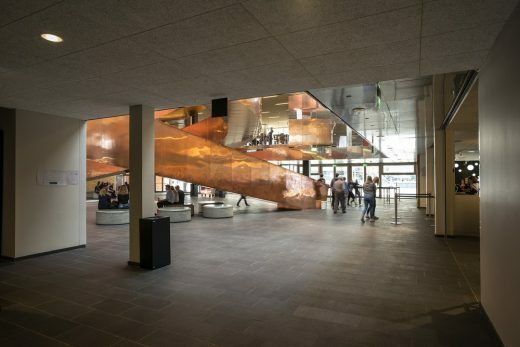 The Carlsberg Group’s new central office provides the framework for a modern and dynamic workplace, where the intention has been to design a building that creates identity, knowledge sharing and innovation. 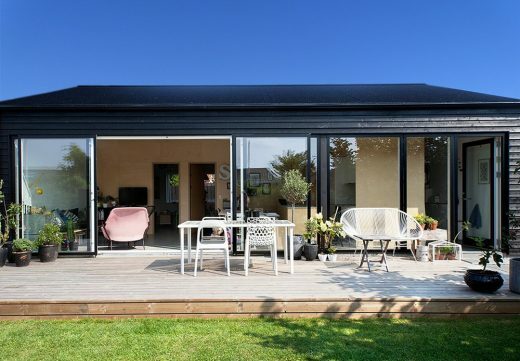 At the same time it has been important that the building stands in harmony with its surroundings and has the aesthetic quality that characterises Carlsberg as a company. 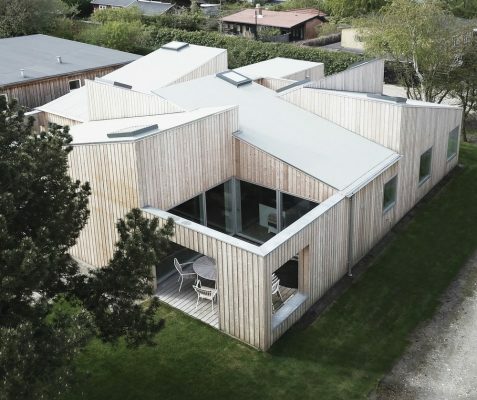 Danish architects COBE reinterpret Danish modernism in this building, creating a new social and cultural destination in the Copenhagen neigbourhood Tingbjerg that invites community interaction, engagement and signals a new urban transformation. 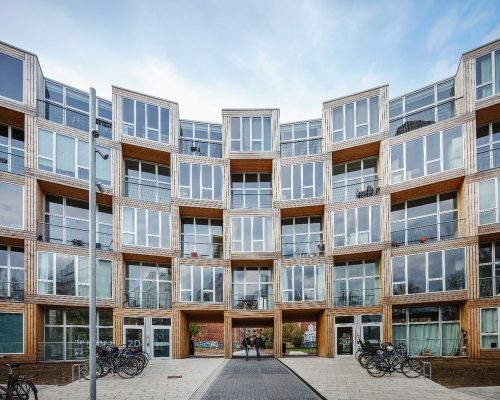 BIG fulfills “Homes for All” mission for non-profit affordable housing association Lejerbo with the recently completed 6,800m2 winding wall in Copenhagen’s multicultural northwest area. 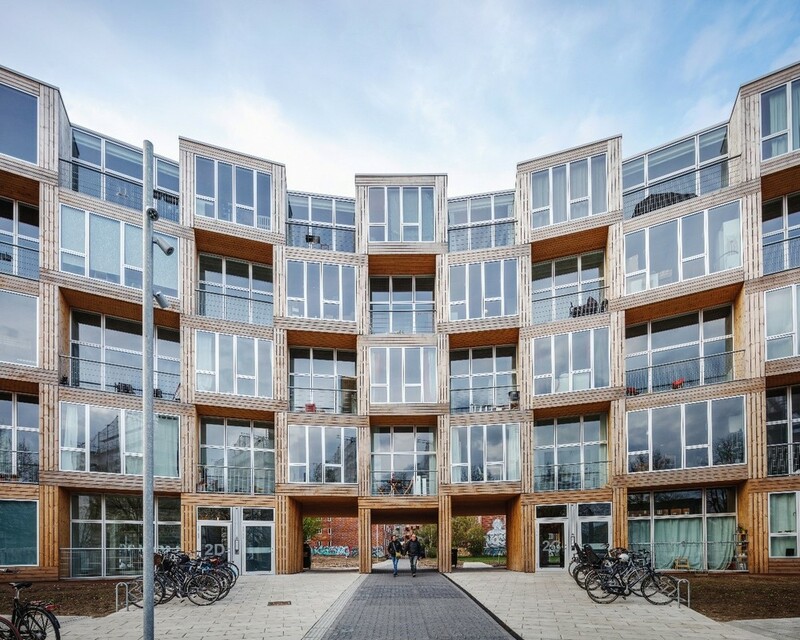 The building offers 66 new homes to low-income citizens featuring unprecedented 3.5m ceilings, generous floor to ceiling windows and outdoor terraces, realized on a strict budget. 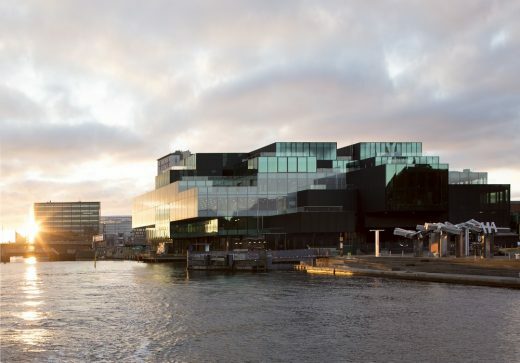 Henning Larsen Architects and a team consisting of Signal Architects and SLA Landscape Architects have won the competition for Nordea Bank’s new office building of 40,000 m2 in Ørestad North, Copenhagen, next to the premises of the Danish Broadcasting Corporation and the Concert Hall – Koncerthuset. 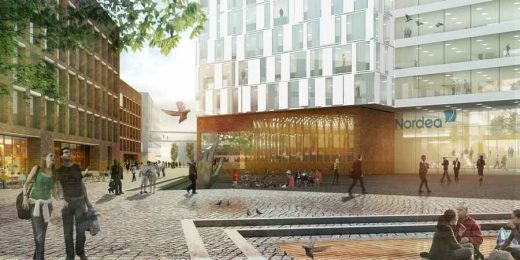 The building will comprise Scandinavia’s largest trading floor of 5,500 m2 with a view of the green area of Amager Fælled. An undulating glass and terraced terracotta pavilion opened at Tivoli Gardens on November 17 to public acclaim. 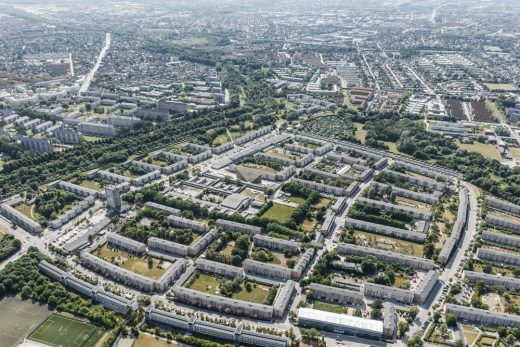 The new building transforms the western edge of the historic park and brings fresh excitement to Copenhangen’s urban core. This world class science centre provides families, school children and science lovers high-quality science exhibitions where they can touch and play and experience science in an innovative new way. C.F. 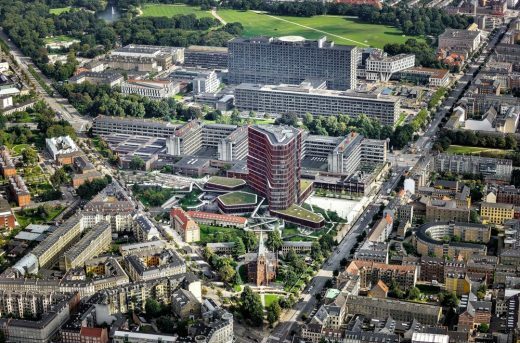 Møller Architects receive the MIPIM 2018 Award for ‘Best Healthcare Development’ for this new building. 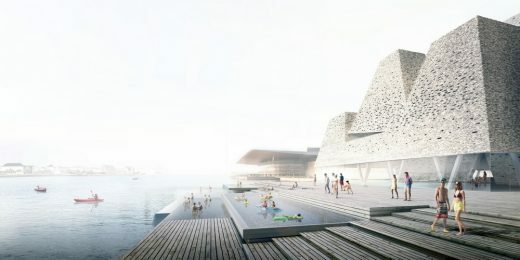 A waterfront cultural centre with harbour baths, which will offer iconic architecture, facilities for leisure and sports associations and unique water experiences: now, a unanimous jury have selected Japanese architect firm Kengo Kuma & Associates, in team with Danish architect firm Cornelius Vöge, Søren Jensen engineers and architect Niels Sigsgaard, as the winner of the architect competition for Paper Island’s future waterfront cultural centre. 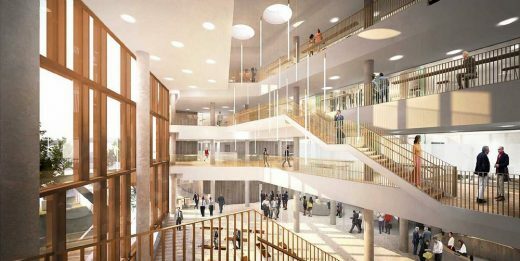 The New Islands Brygge School is taking shape between Islands Brygge’s vibrant city life and Amager Commons’ green countryside – a new school building for lower-secondary pupils, and with special focus on food and movement. The school building will accommodate a total of 784 pupils up to school-leaving age, as well as the school’s staff and a sports hall. 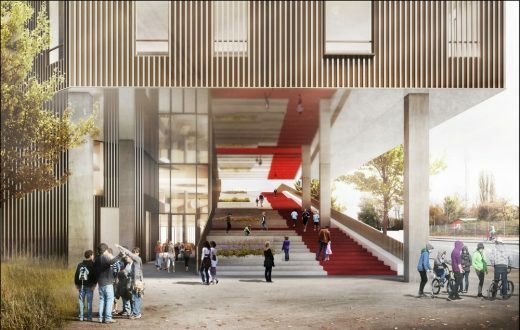 The building will cover around 10,000 sqm, with outdoor areas of 4,000 square metres. One of the most anticipated cultural venues in the Danish capital, the 35,000sqm Royal Arena, opened with four sold out concerts by Metallica. The building has been specially designed for concerts and international level sporting events. 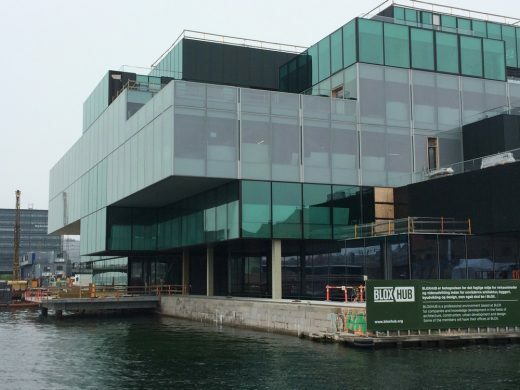 CIS Nordhavn is a new school building for the Copenhagen International School, located on a prominent site in Copenhagen’s new Nordhavn district. 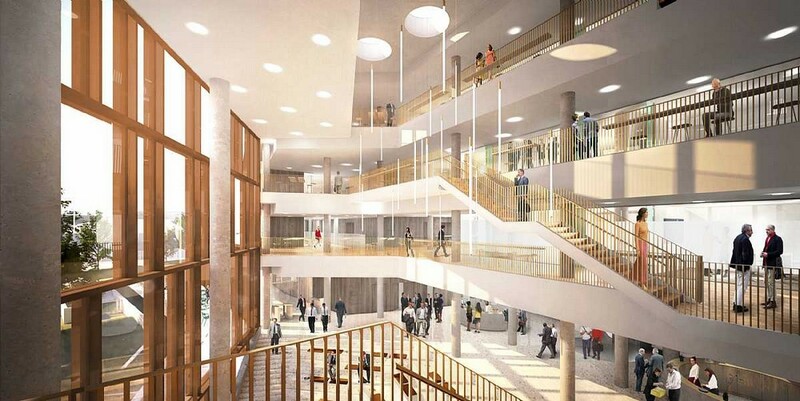 The 25,000 sqm school building is the city’s largest school, accommodating around 1,200 students and 280 employees. Snøhetta designs Barr’s interiors and visual identity for noma restaurant group. 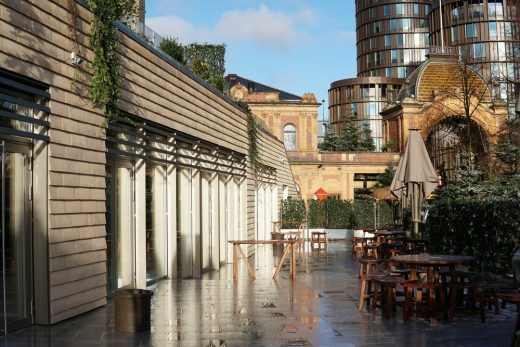 In the former home of the world-renowned restaurant noma, acclaimed chef and restaurateur Thorsten Schmidt in partnership with chef René Redzepi and Snøhetta have conceived a fresh approach to the iconic space. 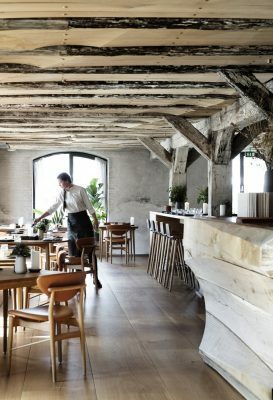 Snøhetta designed the interiors and new graphic identity for Barr, which opened its doors on July 5 on Copenhagen’s waterfront. This Copenhagen Mall is one of Scandinavia’s largest retail destinations. 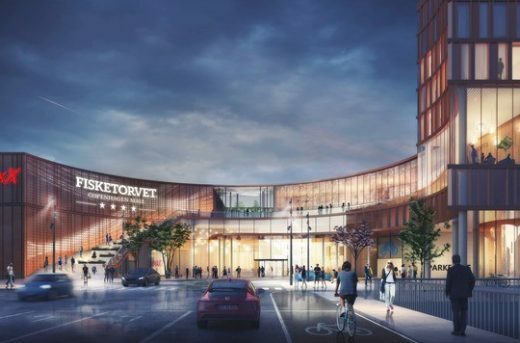 The vision for Fisketorvet’s transformation has been created by a team led by Schmidt Hammer Lassen Architects together with landscape architect SLA. The team was appointed after winning the concept competition organized by European commercial property leader Unibail-Rodamco, owner of Fisketorvet.